Having great outdoor furniture for your large backyard or garden can make the experience of sitting and relaxing in the garden very charming. If you too are planning to add a dash of panache to your garden with some lovely furniture, here are a few tips to help you select the right outdoor wooden furniture. Outdoor furniture is available in different material types. The most commonly used include wood, plastics, aluminum or wrought iron. Of course there are pros and cons of each material type and it is up to you to weigh these and select the one that is most appropriate for your needs. Though plastic is cheap, it may not be as elegant and is also susceptible to breakage. Wood furniture may be expensive, but will provide elegance, long life and the choice of right timber may make it weather proof. Wrought iron is also beautiful and durable, but would need treatment to prevent corrosion. Weather conditions are different across seasons and across geographies. Good outdoor wooden furniture will weather all conditions irrespective of season. It should be able to resist moisture, sun, dust, insects and termites. There are innumerable choices you will have in terms of the type of timber you can use for your wooden furniture. The various varieties of timber that are widely deployed in outdoor furniture have been discussed below. Pine – Pine is softwood and is relatively cheaper when compared to teak or mahogany. But pine has limitations in terms of durability as it is susceptible to rots. Teak – Teak is the most expensive among timbers, but there is no better choice than teak if you are looking for durability. Teak can best wear all weather conditions and is best suited to comply with the wicked outdoor conditions. Teak is proof to both shrinkage and swelling. Mahogany – This also is a hard wood and maintains its strength and beauty over long periods of time. While mahogany is great for verandah furniture but when used in the outdoors, it may need to be maintained much more often than when used indoors. Cedar – The natural aromatic scent of this wood helps keep the insect away. It may not last as long as hard wood like teak, but lasts reasonably long for upto 20 years. White Oak – Unlike red oak, white oak resists moisture and decay, and hence it is widely used for outdoor furniture and even for making boats. 1) Aesthetics – The grain pattern is an important determinant of the beauty. No two wood pieces of the same type of timber would have the same grain pattern. A more consistent grain pattern is generally preferred as it is more appealing. 2) Check the joints – Joints are where most of the problems begin from. Make sure that they are fastened properly. The fastenings used should be made of proper metal which is corrosion resistant. Stainless steel or zinc plated stainless steel fasteners should be preferably used. Besides, these fasteners should make use of screws rather than bolts to ensure easy repair in case of a problem. 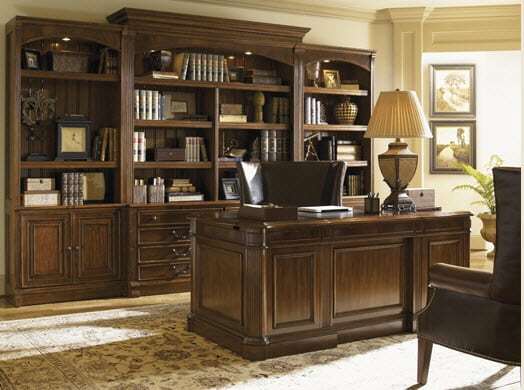 Once you have brought the furniture of your choice, you need to take adequate care of them. One simple way through which you can enhance the life of your furniture is through regular application of oil, such as teak oil. Regular oiling will prevent wood from deteriorating and also guard it from insects. Whatever you may be looking to add to your garden furniture, whether it is a timber coffee table, benches, bar stools or squatting chairs, you can get the best timber furniture that suits your taste. Next PostNext How do You Buy an Affordable House?